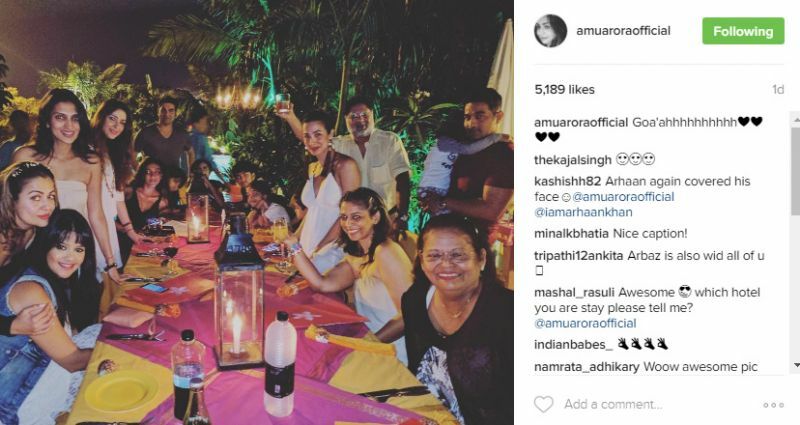 One of the pictures shared on Instagram by Amrita Arora. It came as a shock when popular celebrity couple Arbaaz Khan and Malaika Arora Khan separated earlier this year. The couple was also snapped while they were arriving at the family court to finalise their divorce proceedings few days back. However, the couple has continued to maintain cordial relations and are often spotted together at various family gatherings. Previously, they were seen together at a dinner and also while celebrating their son Arhaan’s birthday. And this time they are partying together in Goa. 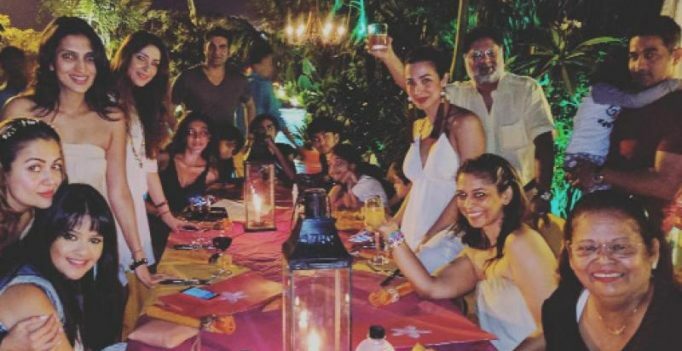 Malaika’s sister Amrita shared a picture on Instagram from Goa where she, Malaika, their mother Joyce, Arbaaz, and several others are seen dining out. 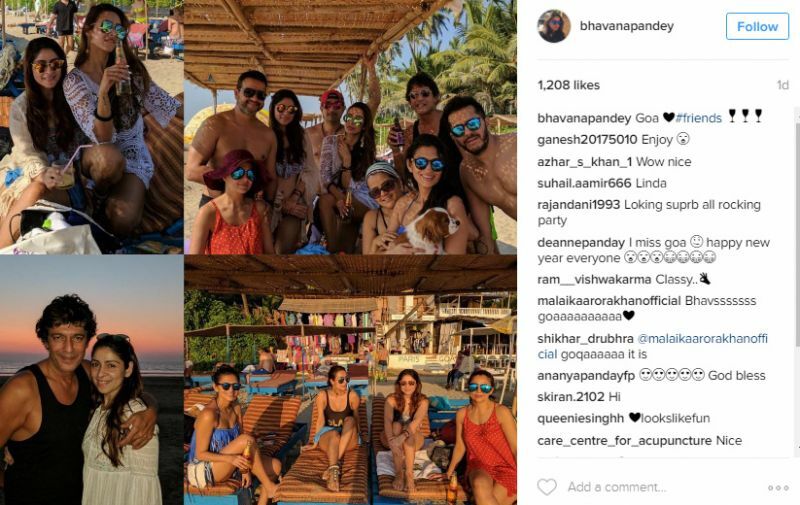 vChunky Pandey, his wife Bhavna, Ritesh Sidhwani and his wife Dolly were also present in some of the pictures from Goa. 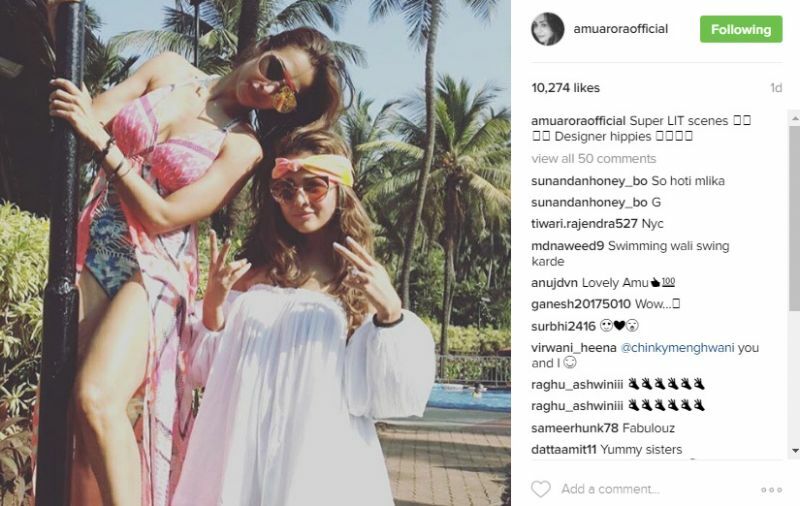 Malaika had also shared several pictures, one in which she is posing in bikinis with Amrita, Bhavna and Dolly and one in which her mother is clicking a selfie with her.